One of the most exciting types of events to host is a job fair event. Attracting qualified applicants from all over Southeastern Massachusetts and Rhode Island can be quite a challenge. Start by finding a good South Coast event venue that has enough space to accommodate all of the businesses, vendors, and attendees. You will want to make sure that there is ample parking, an easy-to-find location, and that it is convenient for individuals coming from all over the area. Venus de Milo is in a unique position to be easily accessible to people coming from all over the local region. We do a lot of business with vendors and clients in both Rhode Island and Massachusetts at our conference center in Southeastern New England. 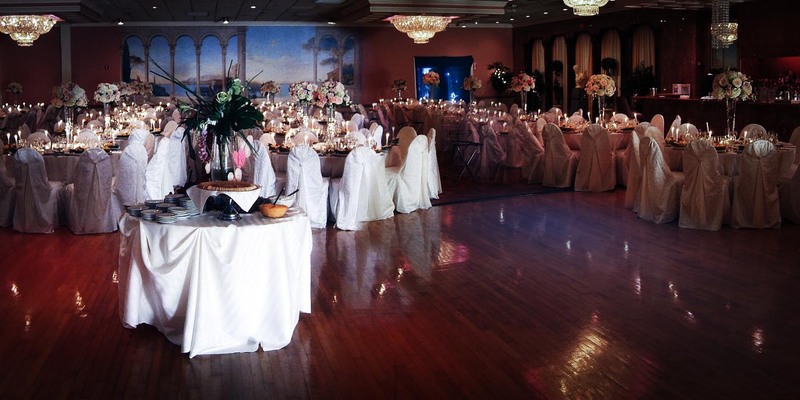 We host a lot of weddings, parties, celebrations, and corporate events in Swansea, providing space for up to 1,800 guests and with options to break-up our ballroom space to accommodate special areas for meetings, interviews, and discussions. Once you choose the South Coast event venue for your job fair, you will want to discuss your specific needs with the on-site event coordinator. While we have a lot of experience helping clients to maximize the potential of our Massachusetts meeting and event space, it is important for you to know what you want in the way of amenities and layouts. Tables and chairs for employers to use, as well as registration areas, hospitality rooms, and anything else that you want to include, should be discussed with the venue. If you will be serving refreshments or at least offering beverages during the job fair, talk about your needs with the venue. Venus de Milo has a full staff that can assist you with anything from coffee, tea, and water service to breakfast, brunch, lunch, dinner, and passed hors-d’oeuvres for your guests. Visit our website to see the full menu offering or contact our team to discuss your ideas and possible needs for refreshments at our conference center in Southeastern New England. Before you advertise the job fair in any way, it is important to recruit employers who are looking to hire individuals locally. Start by contacting human resource directors, hiring managers, and any other connections that you have within your organization to attract other local businesses. Search online hiring posts to find companies that are regularly looking for good applicants so you can add them to your target list. 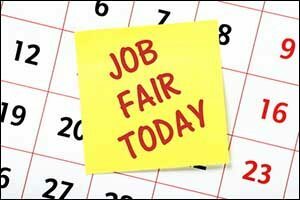 You could also send out a marketing flyer or e-mail solicitation to attract new companies to your job fair. Consider working with local employment agencies, the Chamber of Commerce, or any other regional agency or website that might be interested in participating. Some job fairs charge companies to participate, while others seek out sponsorship funding from larger corporations to cover the event. They get to have big banners and signage throughout the Massachusetts meeting and event space to promote their company and pass out tote bags, literature, and other takeaway items to help recruit the best possible applicants during the event. The next step is to start finding ways to reach qualified applicants to attend your job fair event at the South Coast event venue. Advertising in the local newspaper, radio stations, television spots, and billboards can get pricey, so try to reach out through social media, email mailers, public service announcements, flyers, and other marketing opportunities. Create a website for your event and get it out there to increase interest. Allow online registration for the event and always make sure to state that “space is limited” even if you have room for a thousand applicants. Consider offering workshops and seminars as well, in addition to the employment opportunities. Choose smart topics that will garner interest, such as “How to Write an Impressive Resume” or “Dressing for Success at Interviews” to attract quality attendees. Choose speakers or instructors who are well-known and might increase interest in the event by local professionals who are looking to move up on the corporate ladder. Once you secure the venue for Massachusetts meeting and event space, everything else should start falling into place. Make sure to have a check-in and on-site registration table, providing nametags for employers and employees to improve communication. Offer attendees a map of the event space so they can find the employer booths, workshops, and other special functions that they want to attend. Contact Venus de Milo direct with any questions about using our conference center in Southeastern New England for a job fair, convention, expo, professional meeting, or any other corporate events in Swansea. You can call our team at 508-678-3901 to ask about availability or to get a FREE estimate for the use of our South Coast event venue for your professional gathering.